Top floor unit overlooking the Red River. Bright and spacious condo with large glassed in sunroom unique to this unit. Open concept kitchen and living room with gas fireplace. Formal dining area to have the whole family over for those special occasions. Master suite includes a large bedroom overlooking the river as well with large walk in closet and an ensuite with separate jacuzzi soaker tub and oversized stand up shower. Hardwoods throughout the condo. Second bedroom has access to the sunroom for nice natural light. Second bedroom could also work well as an office, den or gym area. In-suite laundry, central vac and good storage. With it’s high end finishes, spacious design, river views and concrete construction this condo corporation was built well and build with quality. This condo also includes underground parking and our suite is three spots from the door. Garage even has a wand car wash for you. Located next to beautiful Henteleff park. 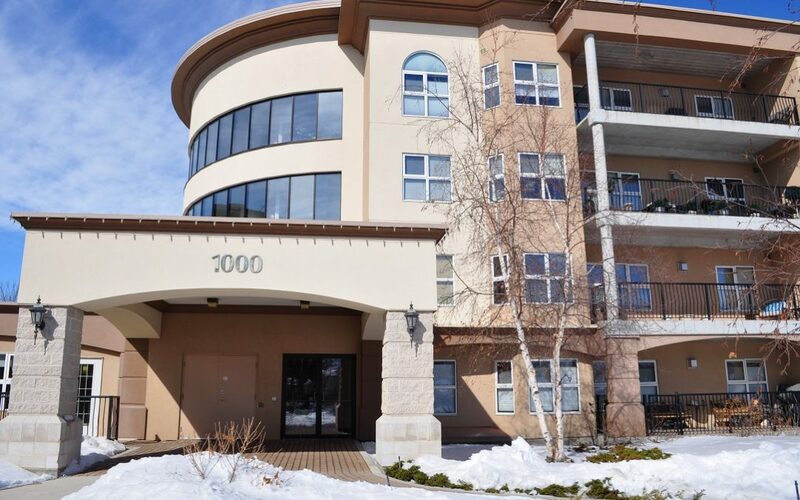 Come see this beautiful top floor unit for yourself.